Before I talk about free Antivirus programs I just want to let everyone know that having an Antivirus scan your computer does not make it invulnerable to getting Malware or Viruses. But it will improve your chances of protecting your computer. You want to combine Antivirus software with Anti-Malware and other software to protect your computer better than just using Antivirus alone. Microsoft Security Essentials is free software from Microsoft to protect your computer from Malware, Viruses and other malicious software. 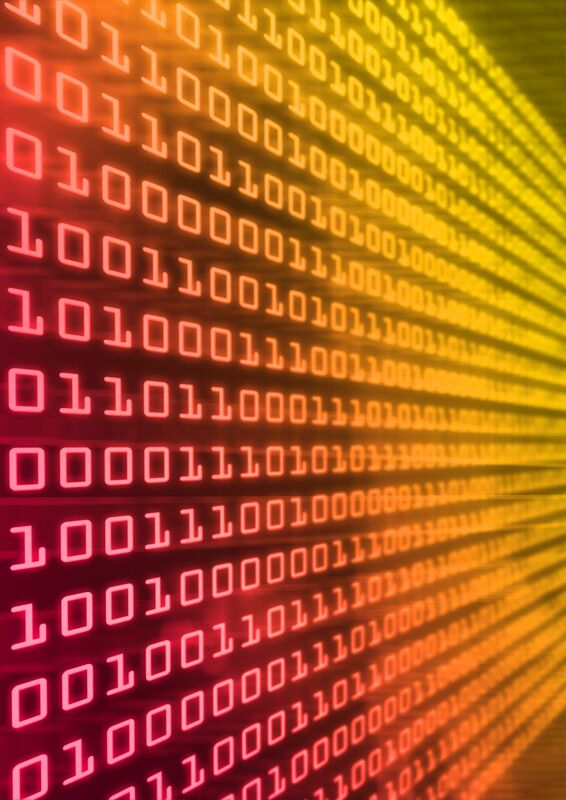 MSE includes a real-time scan which is continuously scanning your computer for any files downloaded that may be malicious. MSE also includes full computer scanning which can look for root kits and other malicious software that can be hard to find and can corrupt you computer if not found. Because the software is from Microsoft it is updated frequently with the latest signatures. MSE is an easy to use software and according to Microsoft the MSE software is efficient and runs quietly without impacting computer performance. 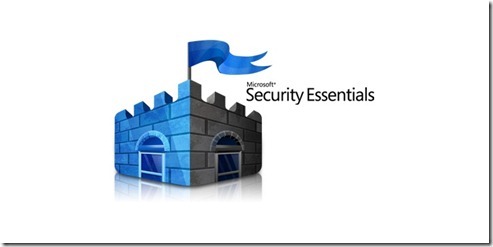 Microsoft Security Essentials is a good free security program for you to try and see if it helps to protect your computer without affecting performance or annoying you with constant popups. To find out more about Microsoft Security Essentials go over to the website to see what the software offers and what the system requirements are. 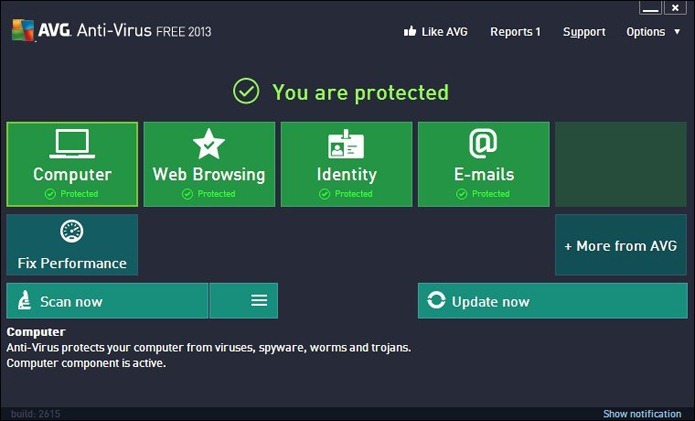 AVG Antivirus is another good pick for free Antivirus AVG includes real-time protection of malware, viruses, spyware, rootkits, and spam. AVG also includes link protection which will tell you if the link on the web page is safe or not. The whole AVG package should be enough to ensure you’re not infected with any virus. The program also integrates seamlessly with Windows Explorer, allowing you to scan files from their context menus. AVG Anti-Virus database is automatically updated on a daily basis, so you’re always protected from even the most recently discovered threats. Previous versions of AVG were very large resource hogs and the software would impact your computers performance. 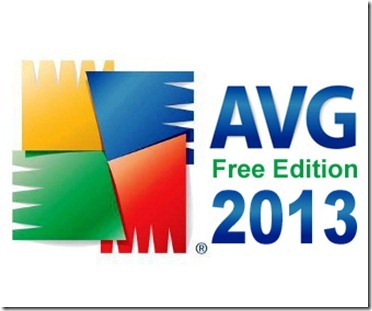 AVG has tried to fix that by making the software lite with a smaller footprint on the system. 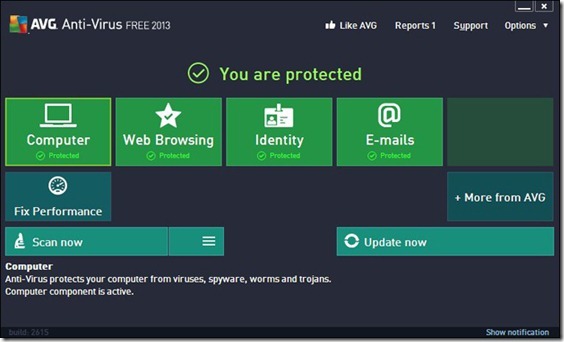 To find out more information on AVG and download the free Antivirus follow the link below. These are the two free Antivirus software packages that I would recommend for you to use. One thing you may want to check is some ISP providers give their customers paid antivirus software to download free. One example is Xfinity gives customers Norton Security Suite free. So you may want to check with your ISP to see if they give you Antivirus software free. If not both these Antivirus programs will help to protect your computer with hurting your wallet. Why didn’t you mention Unthreat Antivirus? I think it’s better than the ones above even though it’s not as well known..